our future Jewish Community Leaders! FLEX options including ONLINE & Sunday Only classes! 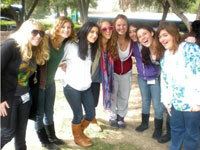 1ST Supplemental Hebrew High School in LA!